Wednesday evening, news broke that some of the folks involved in Robert Mueller's investigation are not happy. Specifically, they feel that they uncovered some very concerning information about Donald Trump, and that Attorney General William Barr spun things way too far in the direction of "innocent" when he attempted to exonerate the President of all wrongdoing in his four-page executive summary. The truth is, Barr's summary really did not pass the smell test from the beginning. There were very good questions about how the AG could reduce a report hundreds of pages in length to just four pages, and why he quoted Mueller so selectively (and only in fragments). It was also extremely difficult to reconcile Barr's assertions with all of the things that were already publicly known about the investigation. And perhaps the greatest overreach of all was Barr's very hasty conclusion that Trump could not be charged with obstruction. It is Dept. of Justice policy not to charge a sitting president with anything; the logic being that impeachment and conviction are the apropos course in the event that the occupant of the Oval Office commits a crime. Barr has made clear he supports that policy and, that being the case, he effectively usurped the prerogative of Congress. Whether or not the President should be charged with obstruction was their decision, not his. Common Dreams: Has "Cover-Up General" William Barr Struck Again? The New Republic: Yes, Trump Obstructed Justice. And William Barr Is Helping Him Cover It Up. CNN: What is Barr trying to hide? Mother Jones: Did William Barr Whitewash the Mueller Report? Just Security: What Has Bill Barr Done to Earn the Benefit of the Doubt? It's true that many of these are left-leaning sources, but not all of them are. And, as you can see, there are some recurring themes. There's suspicion about Barr's motives, criticism of the haste with which he acted, and questioning about the specific content of his report. There are also numerous allusions, with the satirical newspaper The Onion perhaps capturing it best of all, to the fact that the last time he was AG, Barr helped bury the Iran-Contra scandal and to shield most of the evil-doers from prosecution. Maybe Barr's success in making Iran-Contra disappear is what convinced him he could perform the same trick again. If so, then Forbes is right that the AG made a huge miscalculation. There are some obvious, and very sizable, differences between the two situations. Let us note four of the most important. First, while Iran-Contra was shocking and sleazy, it did not trigger anything near the angry response that Trump has. Second, when Barr helped make Iran-Contra go away, he was personally something of a blank slate. Now, he's someone whose past, and whose audition for AG term #2, has him under a microscope. Third, we live in a different media environment in 2019 than we did in 1989. It was considerably easier to make a story fade away back then, when there wasn't Twitter, and Facebook, and a dozen cable news channels, and a million websites. Fourth, the folks who knew the truth about Iran-Contra were largely Republican loyalists, and were themselves criminally exposed, in many cases. They had every motivation to play along in an effort to make the story go away. That is not true of the folks who helped create the Mueller report. It would seem that Trump feels that putting your hands on a woman's shoulders is a greater offense than putting them...elsewhere. Donald Trump and a handful of Fox News pundits think it would be a great idea to shut down the Mexican border entirely. The theory is that doing so would send some sort of message to somebody that something is being done. Outside of Trump and the Fox crew, however, this was pretty universally seen as a bad idea. It wouldn't have done much to stop undocumented immigration, and it would have wrought economic havoc, to the tune of billions of dollars a day in losses to U.S. businesses (and, by extension, the U.S. Treasury). So, Trump's underlings worked hard to convince him not to do it. Last month, the Senate passed a resolution calling for an end to U.S. support of the Saudi-led war in Yemen. Their argument, which is quite correct, is that it is the province of Congress to authorize military engagements, and they never approved this particular action. The purpose of the resolution is to signal unhappiness with Donald Trump's Middle East policies in general, and with his handling of the murder of Jamal Khashoggi in particular. On Thursday, the House also passed the resolution, with 16 Republicans joining all of the Democrats, for a final tally of 247-175. There is one open seat left on the Fed Board (depending on what happens with Stephen Moore), and former presidential candidate Herman Cain was allegedly the frontrunner for the gig. Now, it's official, as Donald Trump formally nominated him on Thursday. When it comes to his appointees, Trump reached "scraping the bottom of the barrel" long ago. By the standards of this administration, then, Cain is pretty well qualified. He ran a Fortune 500 company, and he served in an advisory position for the Federal Reserve Bank of Kansas City. By the standards of any other presidential administration, however, Cain is an embarrassment. He has no experience working as an economist, nor does he have any training in the subject whatsoever. His B.S. is in mathematics, and his M.S. is in computer science. The Fortune 500 Company he ran was a pizza chain (Godfather's), which is not exactly the cutting edge of the economic world. And Cain ended his 2012 presidential campaign because of allegations of sexual harassment. We're not the only ones who don't think much of the nomination, incidentally; Sen. Mitt Romney (R-UT) mocked the pick while speaking to reporters on Thursday. Donald Trump's former fixer, Michael Cohen, would like to spend as little time in the hoosegow as is possible. On Thursday, he announced that he has "discovered" more files on one of his hard drives that might just be helpful to investigators. He is asking SDNY attorneys and Congressional Democrats to hold off on sending him to prison, and to take a look at the new materials, in hopes that he can trade them for a reduced sentence. Late Wednesday, New Mexico became the 14th state to join the National Popular Vote Interstate Compact (NPVIC), with Gov. Michelle Lujan Grisham (D-NM) signing the measure into law. The argument that won the day is that New Mexico is tired of being ignored during presidential elections, since their EVs are a foregone conclusion. Though given that they are the 36th most populous state, it's not clear the NPVIC will solve that problem. Sen. Doug Jones (D-AL) is, in theory, a dead man walking. It's true that he's such a Blue Dog Democrat that he circles three times before lying down in his bed each night. However, Alabama is a very red state, and Jones only squeaked by because some of the Republicans there couldn't stomach voting for a child molester like Roy Moore. If the GOP can come up with a candidate who is not a child molester, they should be able to retake the seat pretty easily. But while they have managed to clear that (very low) bar so far, the Party is still doing quite a bit to keep Jones' hopes up. Their only major declared candidate right now is Rep. Bradley Byrne (R-AL), who does not have a history of sexual misconduct, but who did remain outspokenly pro-Moore until the bitter end. When speaking of Byrne, quite a few folks in Alabama have a saying: "You condone it, you own it." Polls confirm that Alabama Republicans are extremely unenthusiastic about him. This also means there's an opportunity for some other Republican to get into the race. On Thursday, Rep. Matt Gaetz (R-FL) said that he might just be that Republican. The good news for the GOP is that no allegations of sexual misconduct have been lodged against Gaetz, and he did not take a strong public stand on Moore. The bad news is that the main reason Gaetz did not need to take a position on Moore is that he isn't from Alabama, he's from Florida. The Congressman observed on Thursday that he's from the panhandle of Florida, and that the panhandle is very much like Alabama. There is some truth to that. It is also true that one only has to be an Alabama resident for one day in order to qualify to run for the U.S. Senate. However, if there is any part of the country that is sensitive to carpetbagger politicians, it's the part of the country that literally invented the term. Further, Gaetz has some other black marks against him. He threatened Michael Cohen, in an obvious attempt to silence the former Trump fixer. This could cost Gaetz his bar card. He's also got a drunk driving conviction on his record, and a concerning number of speeding tickets (16 of them in 15 years). And he's got a habit of saying racist things. That may or may not hurt him in Alabama, though Gaetz' SOTU invite to Chuck Johnson, who is not only a white nationalist but is also a Holocaust denier, will presumably not be helpful. Speaking of the Holocaust, Rep. Mo Brooks (R-AL) is another candidate who has expressed interest in running. While he does not deny the Holocaust, he does have a bad habit of making ill-advised remarks about Adolf Hitler, something he indulged in as recently as last week. Brooks is radioactive enough that he ran in the last Alabama Senate election, and managed to finish third. That makes him even less popular than Roy Moore, which is not an easy feat. And, by the way, Moore is also thinking about another bid. It's true that many Alabama voters were repulsed by a 70-year-old with a well-documented history of sexual predation, but maybe they'll feel more warmly about a 73-year-old with a well-documented history of sexual predation. You never know! With Terry McAuliffe, Gov. Steve Bullock (D-MT), and Sen. Michael Bennet (D-CO) all hinting at presidential bids in the last week or so, we are left to wonder if we missed a poll revealing that what Democratic voters really want is more generic white guys to choose from. It would seem that Rep. Tim Ryan (D-OH) saw that poll, because on Thursday, he used an appearance on The View to announce he's jumping into the race. This wasn't much of a surprise, since he's paid visits to New Hampshire and Iowa in the last couple of weeks, and also has a rally scheduled for Saturday in his hometown. His pitch, which we would expect from any Ohio Democrat, is that he can win back the rust belt for the blue team. He's also done battle with Speaker Nancy Pelosi (D-CA), so he hopes he can get some anti-establishment votes, too. The problem is that the field is already quite full of "rust belt" types, and that's before Joe "Mr. Rust Belt" Biden jumps in. It's also full of "I'm not establishment" types. Heck, there's even a guy who's both rust belt and non-establishment in the form of Pete Buttigieg, and he's been sucking up money and attention for many weeks. Ryan also has the problem that his name is about as generic as possible; not a lot more memorable that John Smith or Mike Johnson. With such a large field, that's a real issue. And if the much better known Sen. Sherrod Brown (D-OH) decided there was no lane for an Ohio senator, that strongly suggests there's none for an Ohio representative. In short, we're not terribly sanguine about Ryan's chances. 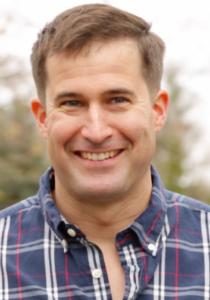 Moulton might be the last Democrat on our list for whom it wouldn't be a surprise if he declared. After him, it's all longshots. Background: Born into a well-to-do family in Massachusetts (his father was a successful lawyer), Moulton was educated at elite schools. He attended the nation's most exclusive prep school (Phillips Academy), and then took a B.A. (physics), MBA, and MPP from Harvard. In between his undergraduate and graduate years, and shortly after the 9/11 attacks, Moulton enlisted in the U.S. Marine Corps, doing four tours in Iraq between 2003 and 2008, rising to the rank of Captain, and winning numerous medals, including two bronze stars. Following his discharge from the military and his grad years at Harvard, Moulton helped manage the construction of a high-speed railway in Texas, and joined with a college friend to found a healthcare startup called Eastern Healthcare Partners. Political Experience: After threatening to do so in 2012, Moulton challenged then-Rep. John F. Tierney in MA-06 in 2014. Moulton became the only Democrat to win a primary against an incumbent in that cycle, and he went on to defeat Republican Richard Tisei. He's been in the House ever since, which means he's now serving his third term. Signature Issue(s): National security. Moulton thinks that this is one of Donald Trump's weakest areas, and that it's not getting as much attention from Democrats as it should. He's probably right about both of those things. He also thinks that he can get a lot of attention by shining more light on the subject. We're not so sure he's right about that. Instructive Quote: "I think Donald Trump is a lot harder to beat than most Democrats think. But I'm also quietly confident that I can beat him, and I don't think it'll be the hardest thing that I do in my life." Completely Trivial Fact: Moulton is known for being comfortable in front of a camera, and is a frequent guest on many programs, including many non-news/non-political programs. He got his first TV experience while in Iraq, as co-host of a show called "Moulton and Mohammed," in which he and his Iraqi interpreter helped make sense of what was happening for locals. Recent News: Moulton has spoken out against sexual misconduct in general, and against the behavior of Joe Biden in particular, several times in the last week, declaring that he doesn't want his daughter "growing up in this country the way that it is." Three Biggest Pros: (1) Many Democrats are convinced that nominating a veteran is the way to win over blue-collar workers and independents—if so, Moulton is not only a veteran, he's a bona fide war hero; (2) He's socially liberal and fiscally moderate, which has been a winner for Democrats in the past (think: Bill Clinton, Jimmy Carter, John F. Kennedy); and (3) Young and charismatic is "in" these days. Three Biggest Cons: (1) Although Moulton says he opposed the Iraq War, he's still pretty hawkish, which leaves him out of step with the Democratic base; (2) Similarly, when was the last time that Democrats got behind a presidential candidate because of his views on national security? Maybe Harry S. Truman in 1948? JFK and the missile gap? ; and (3) He has a reputation for being outspoken, but "outspoken" can quickly become "gaffe-prone." Is He Actually Running? : He's made trips to South Carolina, North Carolina, and New Hampshire this year, and has announced his forthcoming book: Called to Serve: Learning to Lead in War and Peace. What do you think? Betting Odds: The books are giving 100-to-1 odds on him, which is not a good sign. Some of them are actually offering those odds on Seth Moulten (note misspelling), which is also not a good sign. The Bottom Line: He should be able to carve out a lane for himself, since there aren't any Democrats talking about national security. The problem for Moulton is that most of the other candidates are shrewd politicians, and there's a reason they're not talking about that issue.